These pencils are shaped out into a wooden round pencil with a number 2 core. 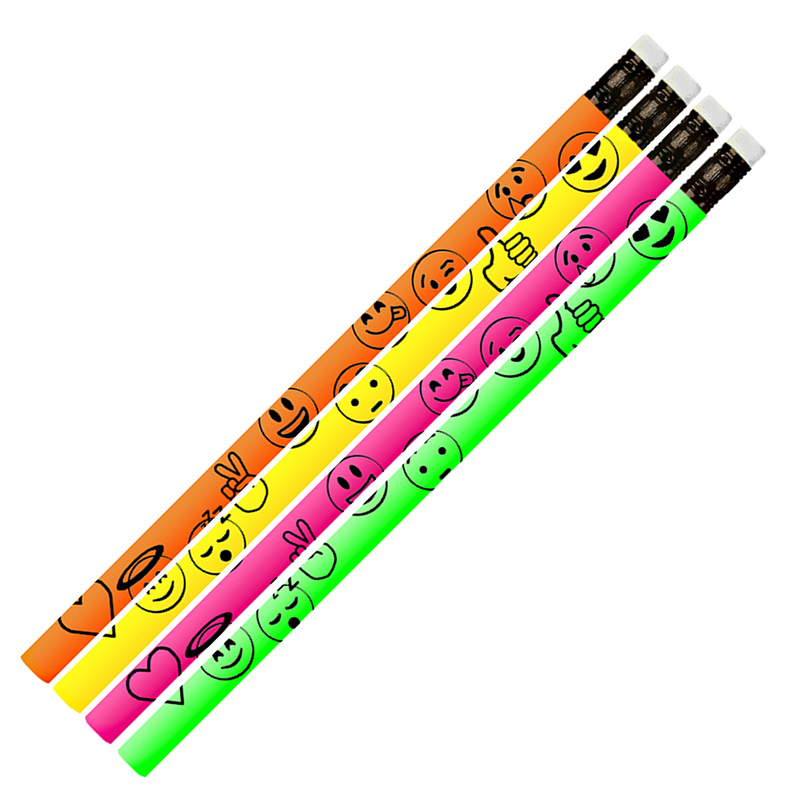 Each pencil has a unique brightly designed graphic printed around the surface. They are also tipped with ferrules and erasers.